New Mum Online: Fancy Dress Outfitters - A Review - Halloween for Babies - baby Boys! Fancy Dress Outfitters - A Review - Halloween for Babies - baby Boys! One of the reasons I am blogging less is that it is so so time consuming so I am going to see if I can write this review up in 30 minutes (as I am shattered and need an early night). We were offered the chance to get a free Halloween Outfit in exchange for a product review. For the lovely company Fancy Dress Outfitters. I loved dressing Aaron up as Santa at Christmas so why not for Halloween. 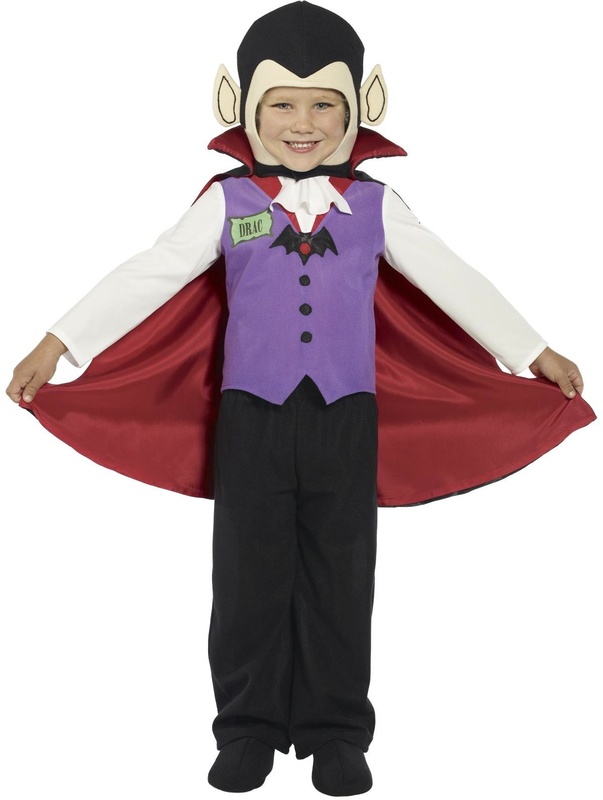 We chose the Vampire Outfit as I could tell it would suit Aaron best. Aaron is 16 months and big for his age so we bought it in age 1 to 2 years and it fits PERFECTLY. The company was established in 2009 and is now one of the UK's leading fancy dress costume websites, with customers throughout the UK and EU. oooops my head is covered! I am waiting Mum! Take it OFF! So he looks gorgeous doesn't he? This outfit retails at £17.77. If you are going to a party it is well worth it. Only one naughty thing on the packaging, they say the outfit contains SHOES when they are really shoe coverings. I made my deadline of writing this post by 21:30 so that I can have an early night - wow I am well impressed when some reviews have taken me HOURS.